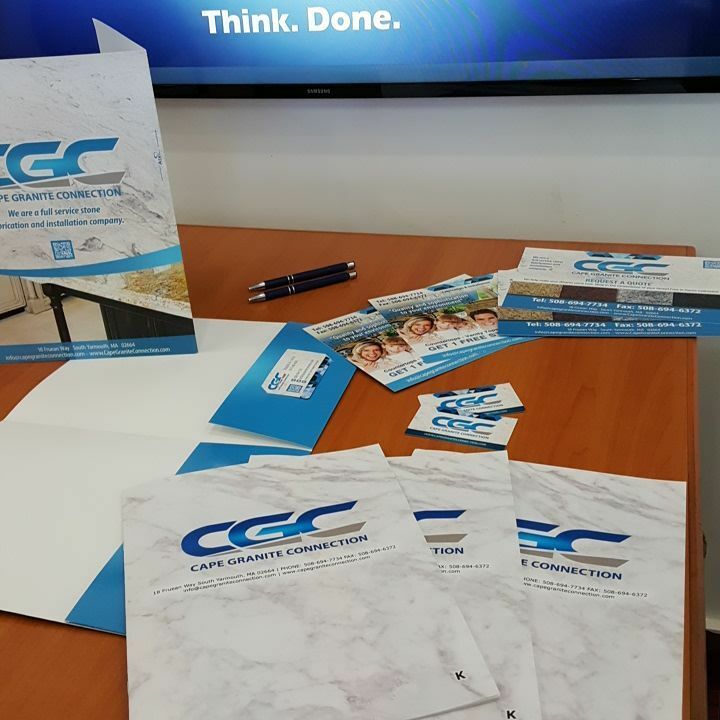 Cape Granite Connection is a full service installation and fabrication company that provides a variety of both luxury and basic materials for designing your home or business countertops. They reached out to us seeking a full branding and print package to help them rise above the competition. Using custom designed elements and color choice we knew we were going to march onto this site with style. Using geometric patterns and organic textures, we brought across the aesthetic apparent in their granite products. 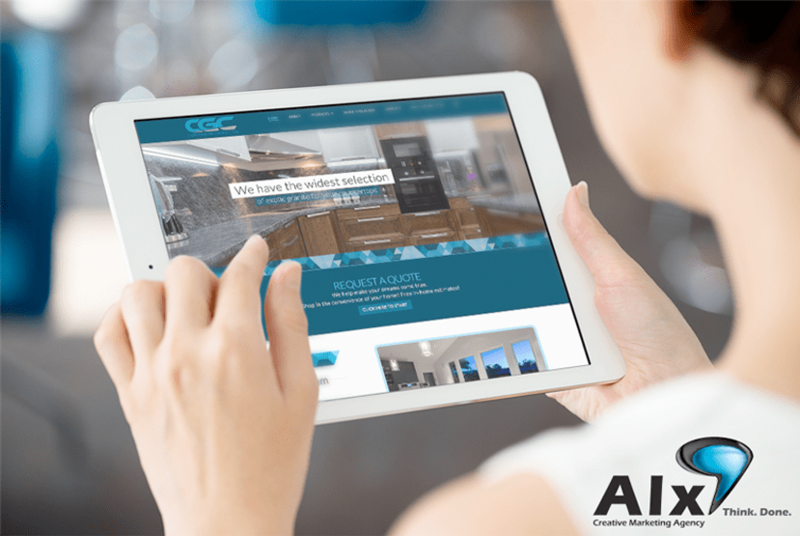 The entire site is responsive to match the market demands for mobile ready websites. They say you can tell a man’s position in a company by the weight of his card. 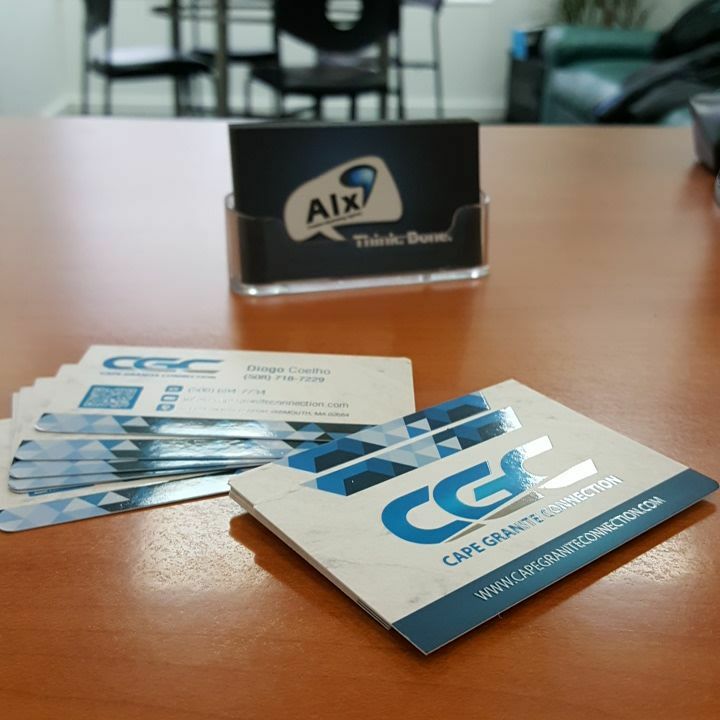 We went the extra mile with this thick matte business cards with spot treated gloss vinyl. 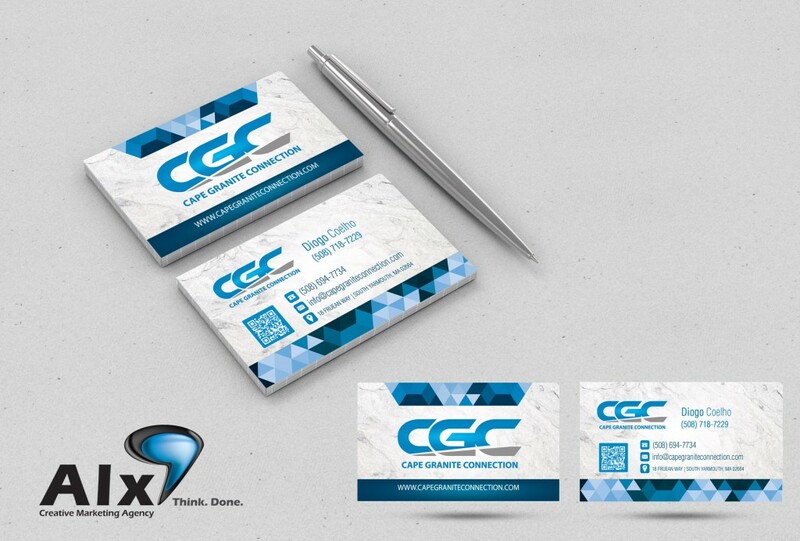 We chose a spot gloss on the text and brand elements to give a physicality to the business cards. The marble background was both a nod to the classic marble countertops, but also a luxurious was to display the Cape Granite Connection logo. 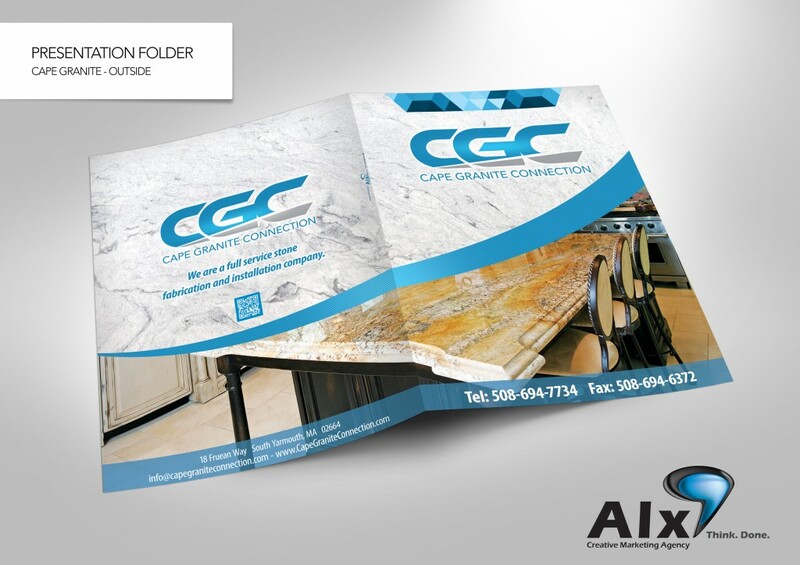 Frequently Cape Granite Connection would pass invoices and other paperwork along to their customers sans folder, so we suggested a custom designed folder. 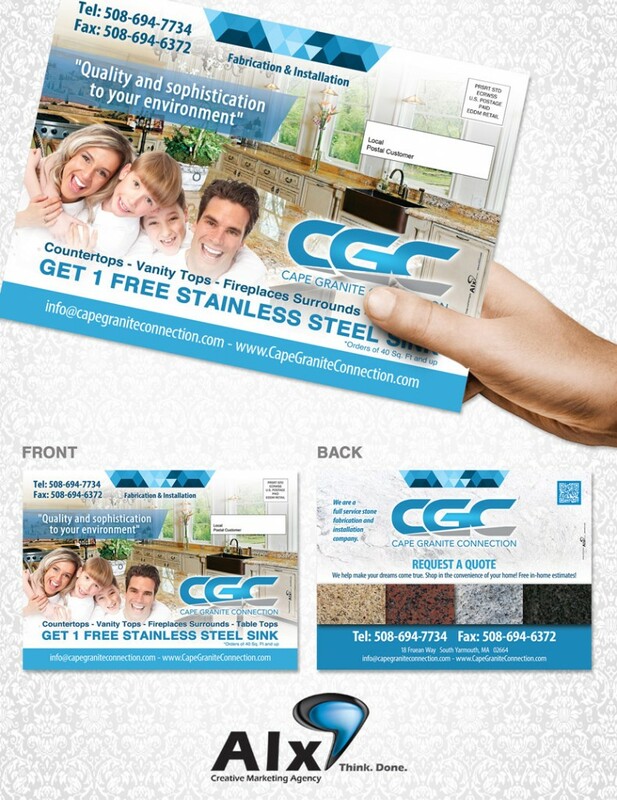 Now Cape Granite Connection can remain organized and continue advertising their brand through a multi-use product. Each folder contains slits to place the company’s business card. One of the easiest ways to make locals aware of your business is an EDDM campaign. Most of our customers will experience 15% feedback from the campaign, which more than pays for the campaign itself. To appeal to the locals we designed this postcard with a coupon listed on the card. We know that the likeliness of a product being kept increases when the product becomes a coupon itself. 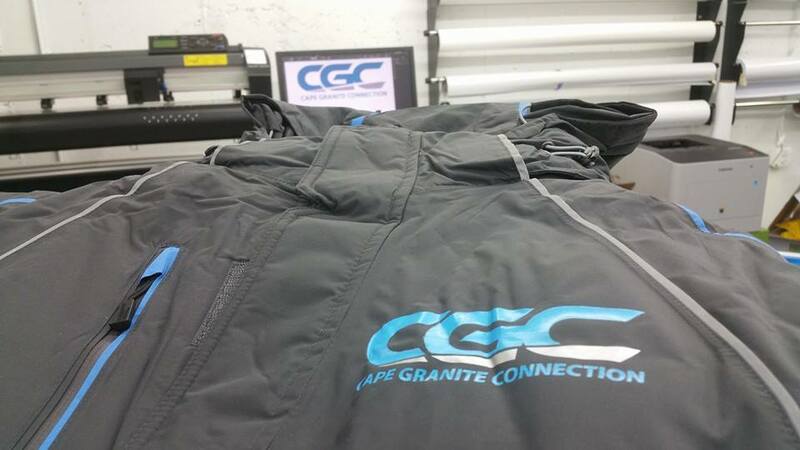 New England winters can get cold, so we thought it would be best to outfit the Cape Granite team with heat vinyl Jackets.